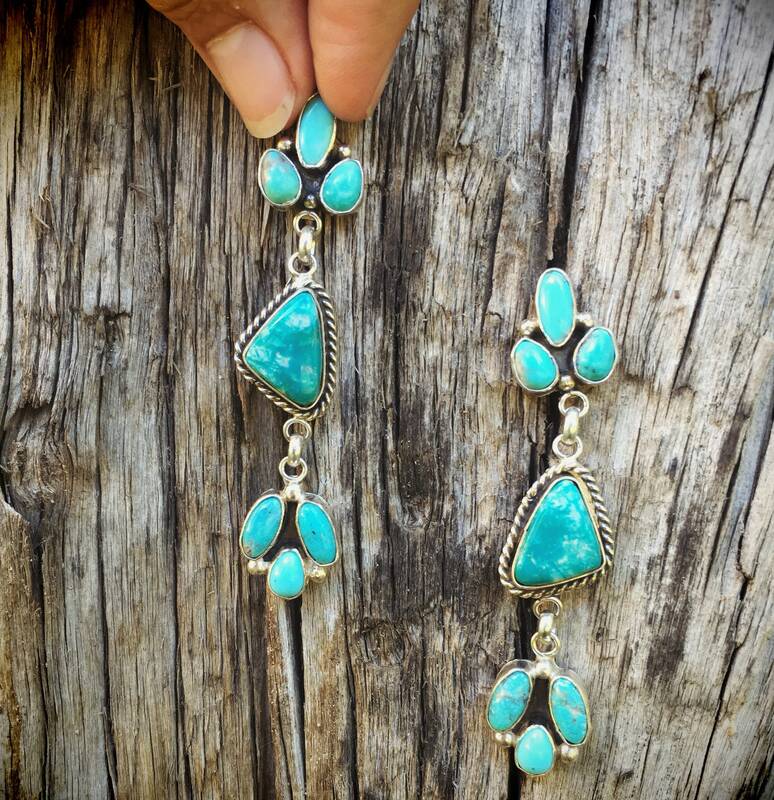 These dangle earrings are long and wonderful, with a cluster of lightish blue-green turquoise at the top where the post is, then articulating is a piece of deeper blue-green turquoise in a traditional setting surrounded by twist wire, and then articulating from that another cluster of lighter blue-green turquoise. 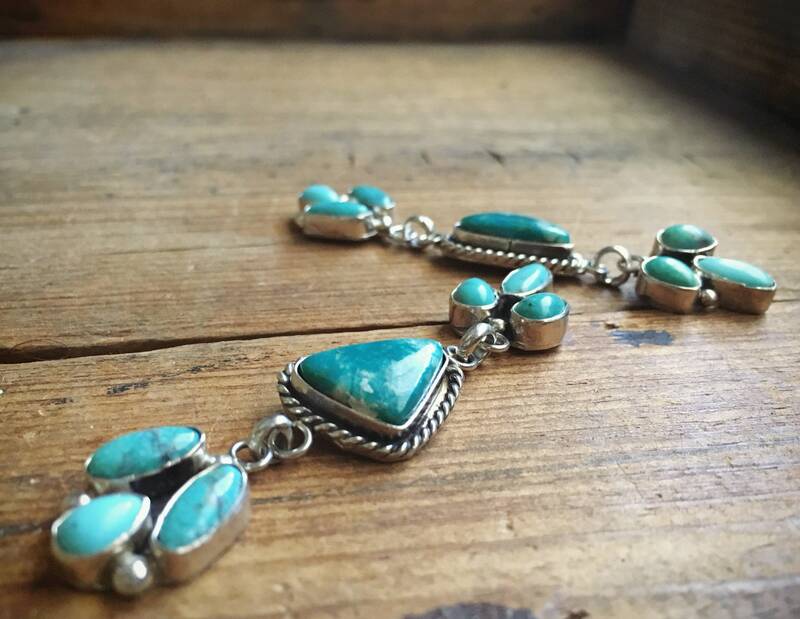 The result is a mix of traditional and modern, and enough length to stand out, yet light enough to wear every day. 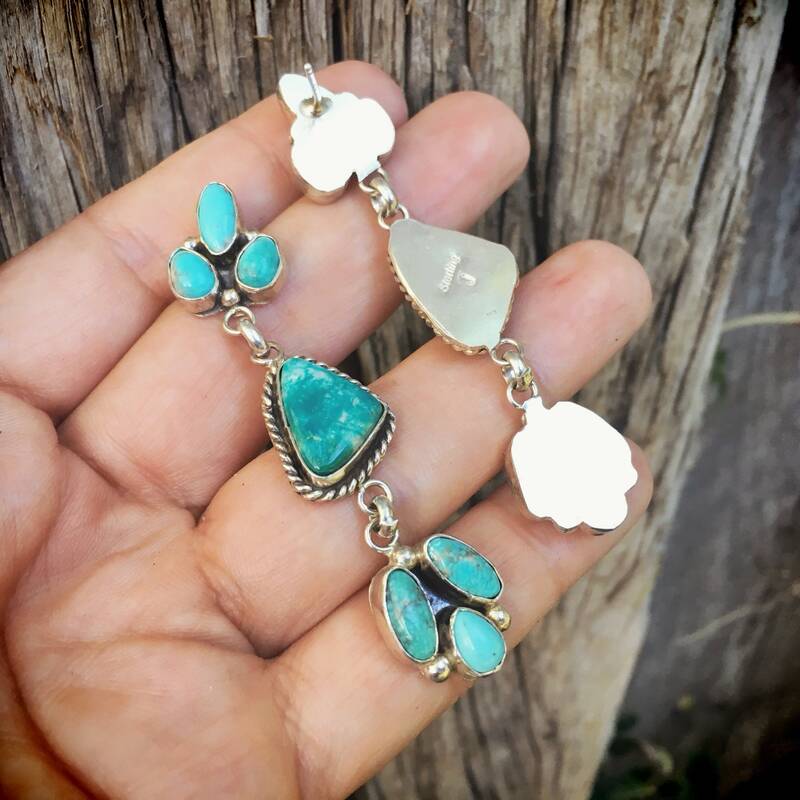 Signed on the back by Navajo silversmith Jason Livingston. 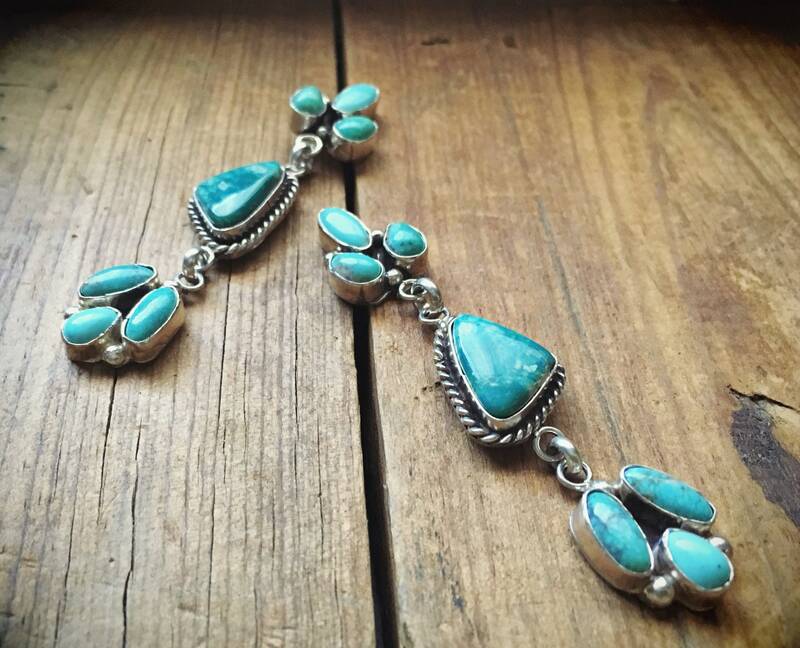 The earrings measure just over 1/2” wide by 2-5/8" long. 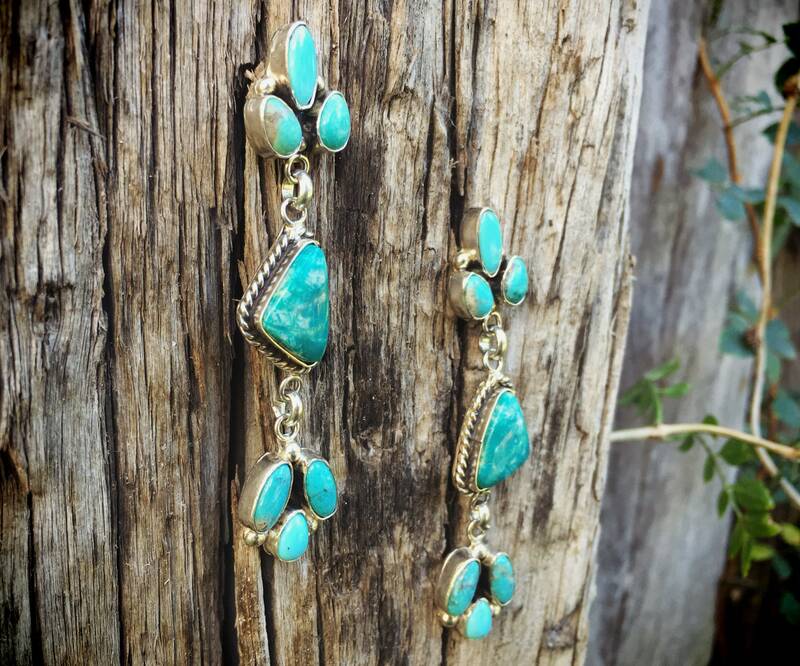 In good shape with all turquoise well seated in the smooth bezels. 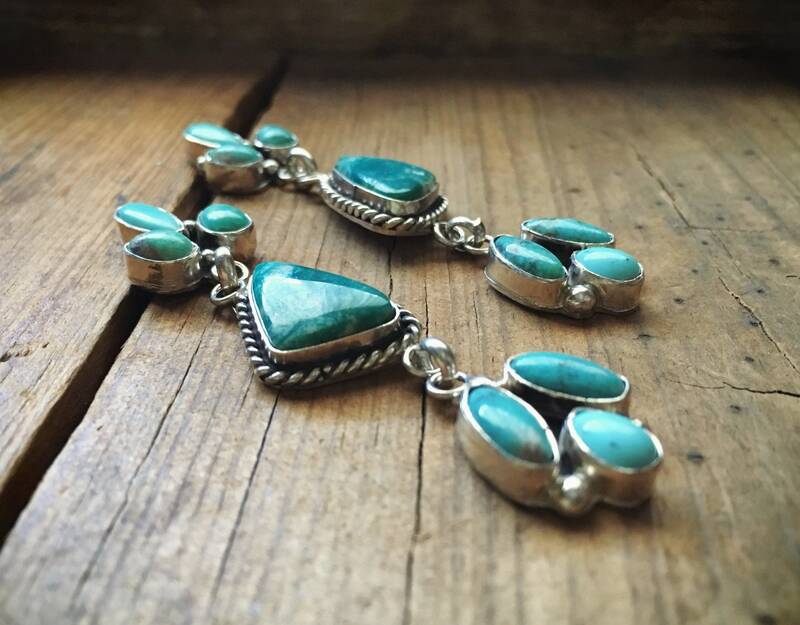 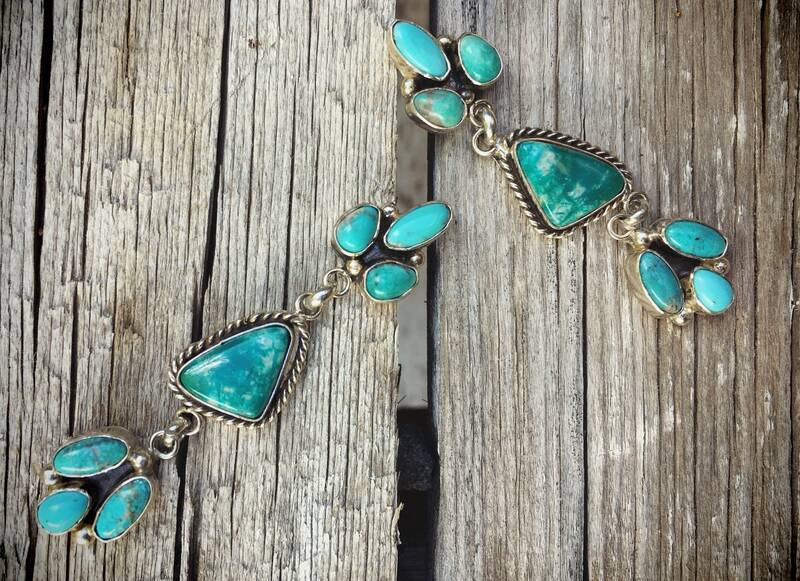 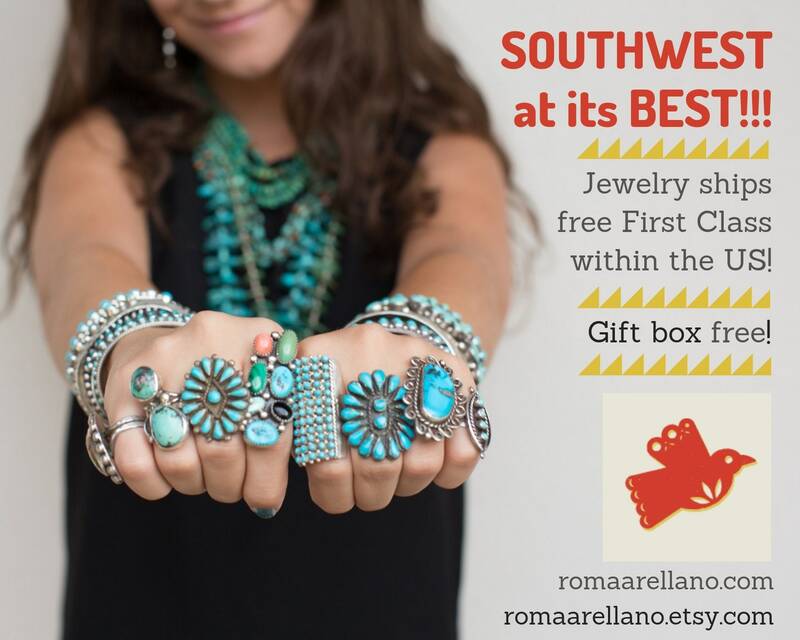 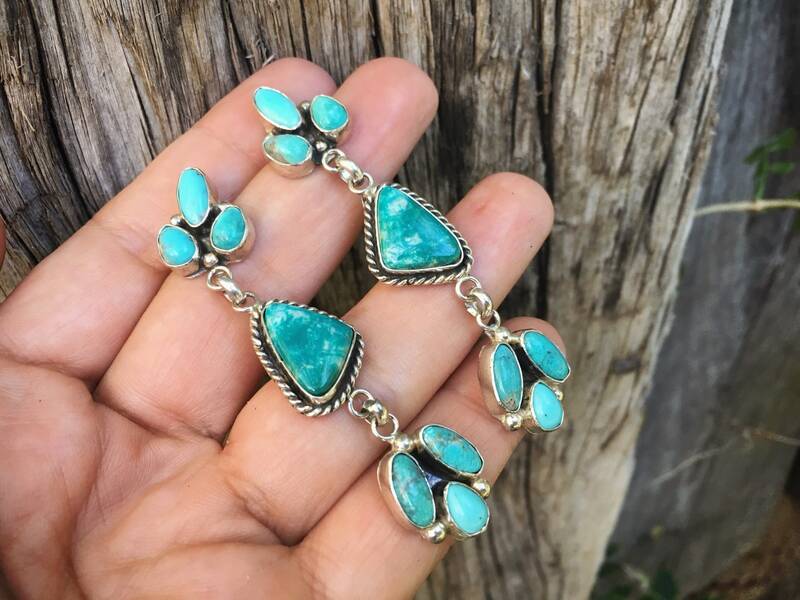 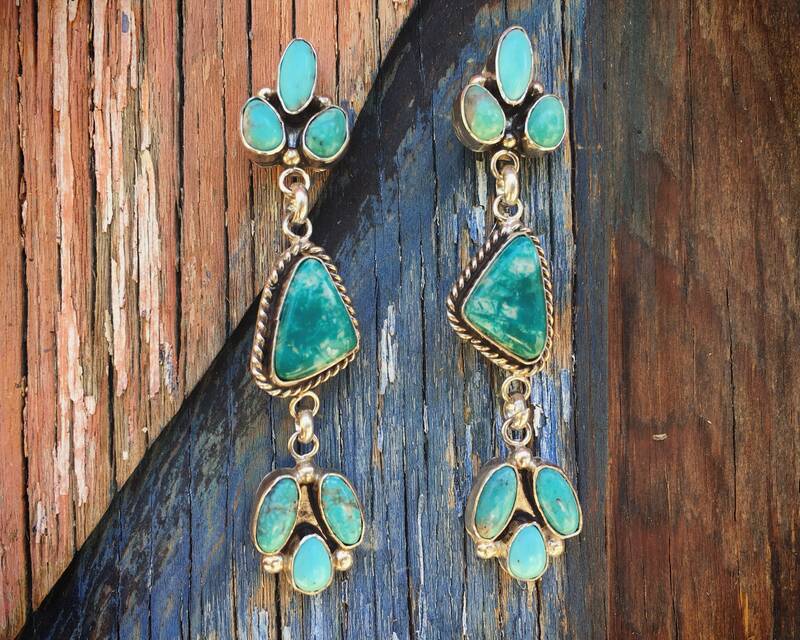 For the person who loves real turquoise in amazing shades.